Read our helpful guide to second hand Perodua Kelisa. AA Cars works closely with thousands of UK used car dealers to bring you one of the largest selections of Perodua Kelisa cars on the market. You can also browse Perodua dealers to find a second hand car close to you today. 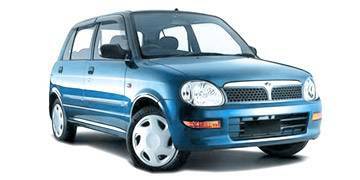 All used Perodua Kelisa on the AA Cars website come with free 12 months breakdown cover. When the Kelisa was first launched it was lauded for being the cheapest new car on sale in the UK. Today, having ceased production, it no longer claims that title, but it is still a highly affordable budget car. From the outside it has an air of Nissan Micra to it, but unfortunately it doesn't share that car's dynamic drive or fun ability. There is just a single 1.0 litre engine on offer which produces 55bhp and takes a laconic 14.8 seconds to reach 60mph from standstill. This might not give it much in the way of excitement, but it does mean it is particularly affordable to run, and can achieve nearly 65mpg when driven sensibly. At speeds higher than a gentle cruise the Kelisa is far from refined, but it copes better than might be expected. For simpler and shorter journeys the Kelisa is far better, and competent tight handling makes it capable around city streets. Not being the cheapest new car in the UK may have taken away its strongest USP, but there is still plenty of basic charm in the Kelisa to win over drivers.